Do you know the #1 way I’ve found my clients build creativity? How many times have you puzzled over something while staring at the computer, only to gain insight while on a run or in the shower? I know I personally have had many such moments. Sometimes, leaning into the grind is what we need to do to be more productive. Sometimes, inviting more playfulness leads to flashes of insight. Being playful and playing as an adult is so much fun, but most of us have been trained out of it. We’ve learned to be more serious, to put work ahead of everything else. But what does this ultimately “cost” us? We have learned to give up play because we think playing is for children and frivolous people who aren’t serious about getting ahead. Well, guess what: play is for everyone, even adults and “serious people.“ The more you practice playfulness, the more your creativity will flow. Become more fun to be around! Some people are naturally more playful than others. While I have a good sense of humor and find humor in so much of life’s contrasts and challenges, I’m not that good at actually playing … so I actually have to put it on my to-do list, and schedule play time into my calendar. It’s up to you – you can either fall back on your “yes, buts” of fear, worry and beliefs such as “I have to work hard to get ahead” … or you can trust the experiments I’ve done with myself and others and start to be more playful. Start your own personal experiment about how play helps you attract more abundance into your life. Playtime with kids or grandkids. You can’t really engage with young kids without entering the world of play with them. Let them show you the way and leave your grownup mind behind. Take a walk or day trip without any plans or route. To make it extra playful, toss a coin to decide on the direction you’ll start out in. Then just go wherever you are drawn. Let your playfulness lead the way. Art without agenda. Go to Michael’s, buy some supplies and start sketching, watercolor, sculpting or whatever you did when you were younger (I bet you did all of these!) Let go of your need for your art to be any “good.” Just enjoy the process of creating it. A magnetic poetry kit, crossword puzzles etc. Keep them where you spend a lot of your hours and play with them whenever you get creatively blocked. A dinner party or other gathering focused on “fun.” Get some kids games, art supplies, and just hang out and have fun. Laugh as much as possible. Get outside. Break the routine of your day with a walk in nature or around the block, and leave your phone, music and pedometer at home. Breathe deeply, you are at play! Play with your dog. If you don’t own one, borrow one from a friend, volunteer to walk the dogs at an animal shelter, or go hang out at a local dog park. Even just watching dogs play can be fun! Keep kids toys at your desk. Having them around will automatically lighten things up, but playing with them when you’re bored or in a bad mood will help even more. Dance. Running, walking or exercising to music is one thing. But really cutting loose and dancing is another. Kids are great at this! Need to add some playfulness and levity to your life? Enlist an ally to help you in this work. 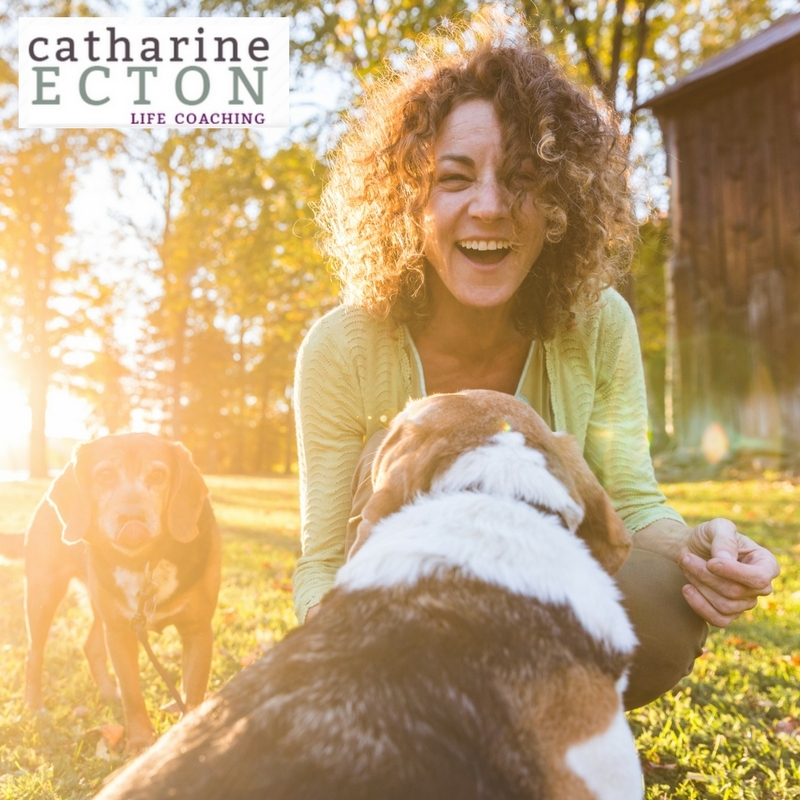 Call me, Life Coach Catharine Ecton or schedule your free Life Coaching consultation today. You can have what you want, live with more ease and bring your life into alignment. 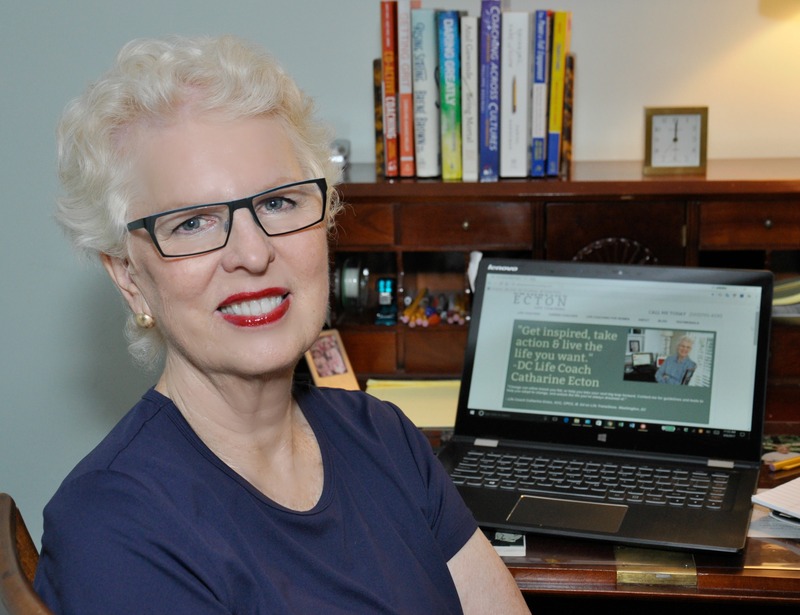 Contact me for a complimentary, no-obligations life coaching consultation and we can work on your goals together. Or use the Appointment Scheduler and pick a time that works for you. I coach 90% of my clients over the phone, and my DC-based Life Coaching clients have the option of meeting with me in person. I look forward to hearing from you.